EU negotiator: We still take a Few weeks for Brexit Deal. 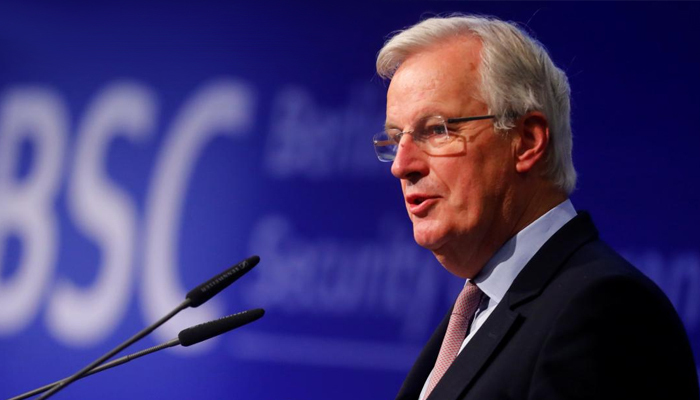 Michel Barnier, the negotiator on behalf of the European Union in the Brexit talks, states that the EU and the United Kingdom will work “quietly and seriously” on a retirement agreement in the coming weeks. EU Heads of Government meeting on Wednesday and Thursday to discuss the Brexit. Barnier seems to react with his statements to the expectation that no agreement will be reached this week, although it was previously called the “moment of truth”. Barnier said Tuesday to journalists in Luxembourg. The United Kingdom is currently negotiating the so-called withdrawal agreement: the conditions for the departure of the British from the EU. and the agreement is essential to secure a transition period so that the British will not leave the EU on 29 March 2019 without any trade agreement. A significant barrier in the current negotiations is the border between Northern Ireland and Ireland. The European Union does not want a hard limit there. The government of the British Prime Minister Theresa May would rather not but would be even worse if Northern Ireland would have a separate status within the UK. In this way, according to the British, a solid border would arise between Northern Ireland and the rest of the United Kingdom.